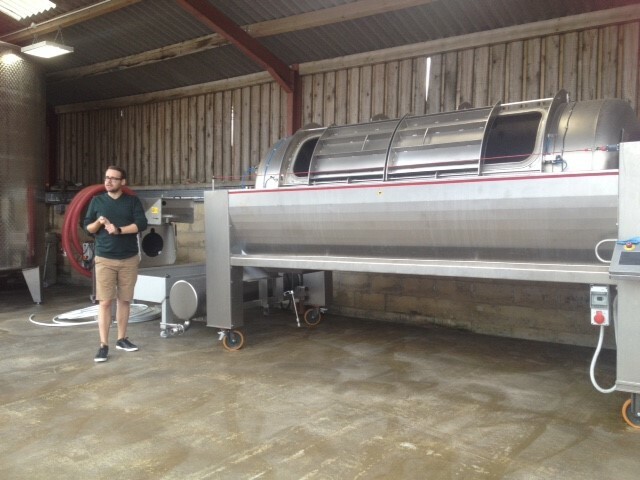 Last month, inspired by our Turkish smallholding/winemaking experience this summer, we visited our local vineyard – Woodchester Valley – for a tour and tasting. It was a hard job, but someone has to do it, even though it confirmed my suspicions that The Secret Acre is not far enough into chalky rock of the Cotswold Hills to be able to plant our own cheeky row of vines, and add wine to our cider making. Woodchester’s grape press, a bit bigger than our apple press! 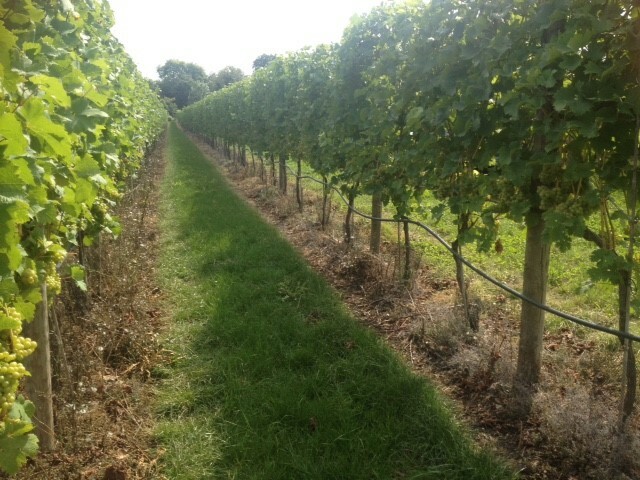 It might not be hot enough yet in the UK to have to have a swimming pool reservoir for watering, but UK wines are booming under climate change, with Woodchester Valley just about to produce their first ever red wine. Probably a good thing too. After Brexit it might be the only wine we have to drink! After Brexit, British wines might be all we have! 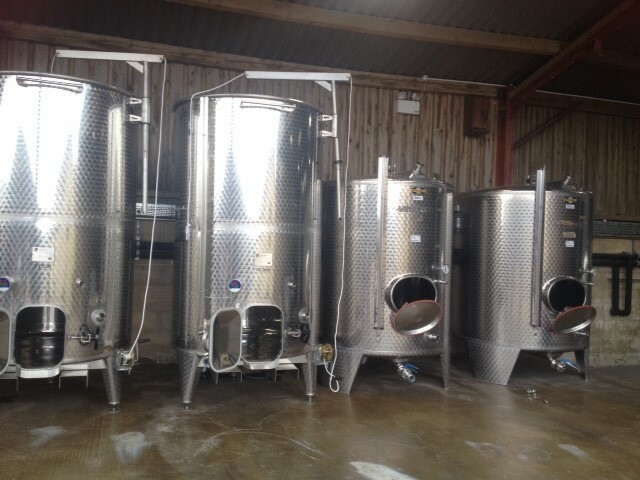 This entry was posted in Good Life and tagged Brexit, cider, cider making, climate change, Costswolds, Paul Rainger, Smallholding, The Secret Acre, turkey, vineyard, wine, wine making, Woodchester Valley by paulrainger. Bookmark the permalink.